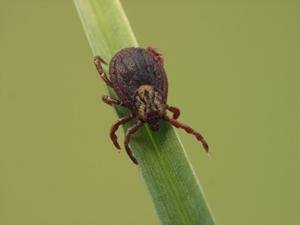 Ticks are external parasites that feed on blood. They attach by their head and engorge by ingesting blood. Once they are engorged they fall off and lay eggs. Endemic in Point Pelee, Rondeau Provincial Park, Turkey point, Long Point, Prince Edward Point, Thousand Islands, Pinery Provincial Park, Rouge Valley, and Wainfleet Bog Conservation area. They are out as soon as it is 4 C weather, but they peak in early spring and late fall. This is one of the most common ticks seen in Ontario today. There have been a few Lyme positive dogs in Perth County! How do they transmit their diseases? Ticks will bite and transmit bacteria from their saliva. How are the infections treated? 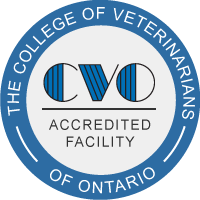 Talk to one of our team members at Coventry Animal Hospital or search our website for more information on ticks and Lyme disease if you have any questions.